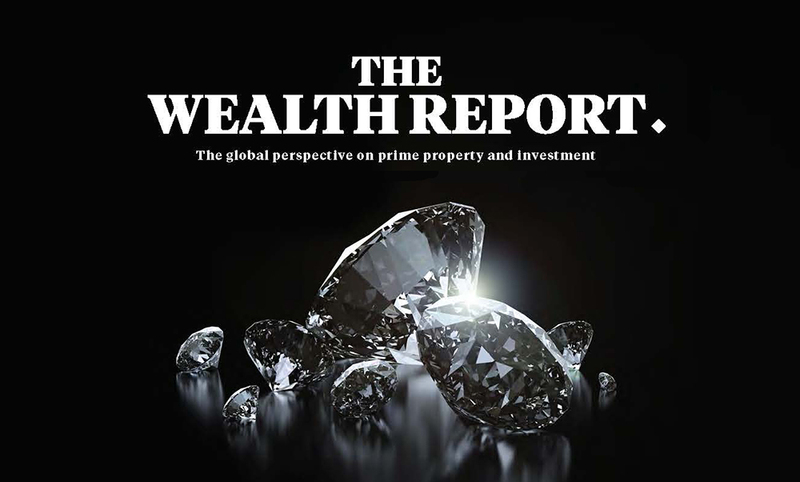 The 2018 edition of The Wealth Report, now in its 12th year, tracks the trends of the world’s wealthiest people and how they influence real estate markets around the globe. 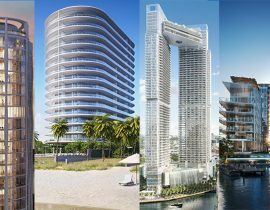 Below we have assembled 20 key findings from this year’s report, jointly produced by Douglas Elliman | Knight Frank Residential along with data specialists, Wealth-X. 1) The number of UHNWIs – individuals with $50m+ in net assets – increased by 10% in 2017, taking the total to 129,730 individuals globally. 2) The number of HNWIs – individuals with $5m in net assets – is set to rise 43% by 2022 to a total of 3,617,550. 3) New York leads all global cities in households earning $250k+ per year, with more than 1,167,000 counted. Los Angeles comes in 2nd place with 637,000. 4) North America remains the world’s largest wealth region. Some 34% of the world’s ultra-wealthy are based here, and their ranks rose by a further 5% last year, taking the total to 44,000. 5) 20% of the UHNWIs (Ultra High Networth Individuals) in North America plan to buy another residential home in-country in 2018, versus 10% who plan to purchase a home out-of-country. 6) In China, the population of those with $50M+ will more than double in the next 5 years. There will also be strong growth in Japan (+51%), India (+71%), Indonesia (+66%) and Malaysia (+65%). 7) Based on wealth, investment opportunity, lifestyle and future growth, New York is the most desired global location for the ultra-wealthy. London comes in second. San Francisco is the 3rd most desired location, and the second most desirable city by lifestyle. 8) In Aspen, the residential prime property market – recognized as the top 5% of the market by price – recorded the 3rd largest price increase worldwide in 2017, with a 19% year-over-year growth. 9) Los Angeles, New York and Miami saw growth of 5.1%, 4.6% and 2.2% respectively in 2017. 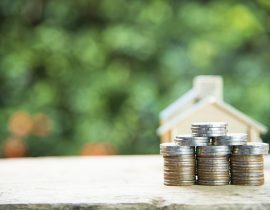 In New York, the 4.6% rise reflects the conclusion of a number of high-end sales as vendors across New York City displayed greater flexibility on price in both the resale and new homes markets. 10) Europe is home to four of the world’s top ten performing prime residential markets: Amsterdam (+15%) Frankfurt (+12.9%), Paris (+12%) and Madrid (+10.6%). 11) In Asia, the weakening of prime property markets in Beijing (+9%) and Shanghai (+7%) contributed to a slight drop across the Asia-Pacific region as a whole, with markets averaging 4.4% growth in 2017, down from 5.2% the previous year. 12) The Chinese city of Guangzhou leads this year’s prime property market rankings, with prices up 27% year-over-year. 13) Seoul (+13.2%) and Hong Kong (+7.3%) continue to perform strongly in the prime property market sector. 14) Istanbul’s prime property market took top honors in the Middle East region with growth of almost 5%, but with inflation in Turkey at almost 13% in 2017, prices declined in real terms. 15) In Dubai, the story of 2017 was one of stabilization. In the first nine months of the year, prime sales volumes rose by 6% and the total value of prime transactions reached Dh2.27 billion, up 9% from the same period a year earlier. Ahead of Expo 2020, large-scale investment in new infrastructure projects is expected to filter through into market sentiment. 16) Art led all asset categories in 2017, its value increasing 21% year-over-year. 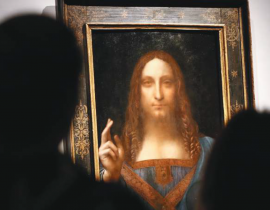 17) 2017 saw the most expensive painting ever sold with Leonardo da Vinci’s Salvator Mundi going for US$450 million, smashing the previous world record set by Picasso’s $179 million Women of Algiers in 2015. 18) Investment grade wine, which was the top-performing asset class in 2016 with a growth of 24%, put in another double-digit performance last year (+11%) to clinch second place. 19) Classic cars is the best performing asset class over a ten-year period. It saw a number of striking auction results in 2017, with a 1956 Aston Martin DBR1, raced by legendary driver Stirling Moss, selling at auction for $22.5 million. 20) Watches – The ‘Paul Newman’ Rolex Daytona set a new record for wristwatches at auction in 2017 and sold for US$17.8 million at Phillips. Given to him by his wife Joanne Woodward and inscribed “Drive carefully”, the watch was originally guided at US$1 million.